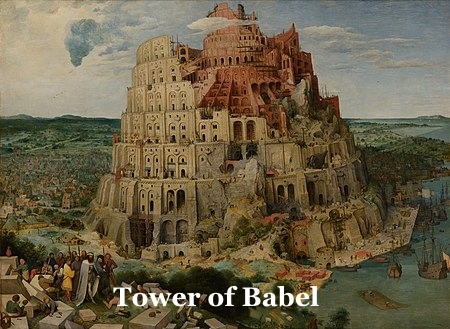 The story of the Tower of Babel is a significant point in the history of mankind. The Lord recognized that man, speaking in one language could cooperate with each other to build anything that they could imagine, including this tower. Thus God scattered mankind around the world, with separate languages and national boundaries. The period of dispersion ended with the death of Terah, Abraham's father in approximately 2100 BC. Trinitarians would like the world to believe that the "let us" in the following passage is the Tri-Union God. The word Trinity is not in the Bible. The description "Tri-Union God" is not in the Bible. Nowhere in the Bible is the description "three persons" used. God the Son is not Biblical. Trinitarian doctrine was accepted at the Nicaea Council in 325 AD, not in the first century.